This entry was posted in Children's fiction, Historical Fiction, Reviews. Bookmark the permalink. It was apparently number 1 in the children’s bestseller list in Oz! Not sure when, but it can’t have been that long ago. It’s well worth the read. Maybe it was while I was away, but that’s good news because it means I’ll probably find it in the library. I’ve been so out of the loop with everything recently. i found this book amzaingly fun to read. it was an easy read not dint stress my mind to much, but the way john went about setting the book through the innosent eyes of a child was a very interesting way to go about it . it kept me amazed all through till the end. although i thougth the novel finished rather suddenly. but great novel all the same. i had it as my year 10 study and used it as my text in my exam. Edited by Cas Stavert. Sorry, Callum you gave the game away in your comment when I’ve gone to considerable trouble not to do so in my review. I read this as my school novel in i find it wonderfully interesting and would highly recomend it! I loved this book, it was simple to read but different things had double meanings which i thought was great. John Boyne has a great imagination. hi i like book, i read this for english and like very muvch feed bakc. This book is remarkable in the amount of descripition. Except it doens’t tell you exactly what is happening but makes you think of the situation/s that you would have gone through, which is remarkable. Well done John Boyne! It is a fantastic book and hope for many more to read it. I am thinking of using this book to teach a year 9 class. What literary techniques do you think I should focus on? I was contemplating teaching it in relation to POV? I also thought it was a great book- I liked the way that it was written so differently from most books, and the way that it shows that not everybody is the same as the people they are surrounded by. Great book! I loved this book i didn’t want to finish it . . . .
Why is “Hopeless Case” written with capital letters? Is there a hidden meaning? Hopeless Case was capitalised in the version of the book I have. There’s no hidden meaning – it’s just for emphasis. i’m in year 9 and i had to read it for english – and i just finished an essay about how Bruno changes and develops through writer’s techniques and conventions + events. I think it’s good how the writer doesn’t reveal much about where bruno is and what is happening around but you slowly get the picture. I have to say that this is an extraordinary book. The story was okay and I was touched by Bruno’s and Shmuel’s friendship. Since both were quite lonely, it was nice to read about them spending time talking to each other. However, Bruno’s just too naive and ignorant. And he could have brought more food for Shmuel, as he tends to eat what he brought on the way to see his friend! My english teacher gave me this book to do a comparison with the Novel night. At first Bruno seemed like a child who did not listen to anyone other than the little voice within his head and only aroused a small curiousity within my mind. The ending however, made my stomach chune at the very thought that Bruno had no understanding as to what would happen to him and the thought that nothing could be done to save him. I loved this novel greatly, I have now got an understanding of the terrible things the Jews had to go through on a daily basis. It makes me feel ashamed and sick to think such people could discriminate against such a populated race. The whole thing started becuase germany went through a economic depression and the germans couldn’t cope; but the jews could cope, and hitler perswayded the germans that the depression was caused by them. i thought the book was very powerful, well written and so on. However if the book was originally intended for the younger audience, you wonder whether children should be confronted with such a dark, monstrous event such as the Holocaust and the final solution? Ohmygosh. I had to read this novel for a Novel Study at my school, and I read it over 8 TIMES! The style of writing is a little odd, but since it’s supposed to be in the perspective of an adventurous 9-year-old, I understand better. I wonder if “Hopeless Case” is a reference to when Anne Frank calls herself a hopeless case due to how everyone in the Annex views her (mis)behavior. 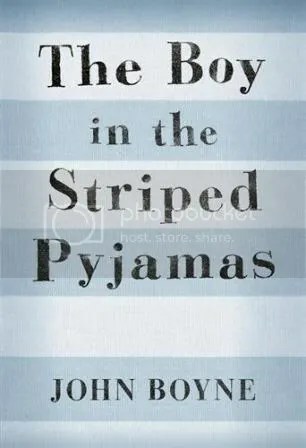 this was a sad book but i learnt a lot about the holocaust that i didnt know before. Joceline is obviously stupid and illiterate… ruin the plot and set the record for most spelling mistakes in one paragragh. Well Done.